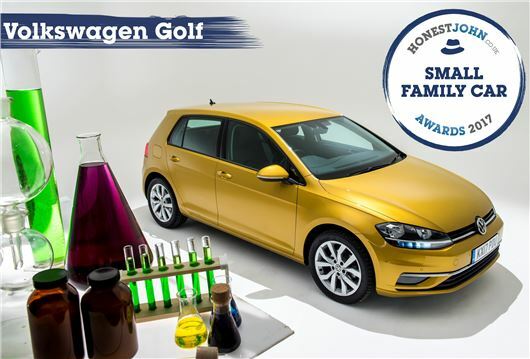 The Volkswagen Golf has been named the Most Popular Small Family Car at the Honest John Awards 2017. Over the past 12 months, the Volkswagen Golf clocked up more page views than any other car in its class. “Our readers love the style and refinement of the latest Golf, with it coming out top in the small family car category," explained HonestJohn.co.uk Managing Editor, Dan Powell. Only owned one Golf, a 1985 1400cc version which my first wife had. Great car had 186,000 miles behind it when we parted. But one friend has a '98 Golf she bought new and her son has bought a Jetta as her Golf has been so good and another friend has a '89 Golf GTI which he bought in '91 with 9,000 miles behind it and now has almost 300,000 miles behind it. I think the best way to keep them going well is to stay away from the dealers and find someone who knows and can tell you properly what is going on. I have a VW T5 Camper and that's what I do, it's my 16th VW, including many Beetles.